Rabbi Zachary Hepner M.S. M.A. M.B.A. C.M. Mazal Tov on the birth of your new baby boy! My name is Zachary Hepner. I am a Rabbi and a certified New York mohel. This is a very exciting time for you, your family, and your new baby boy. You may have many questions and concerns relating to your son’s bris and I am here to guide you. I will carefully help you through the process ensuring that you have peace of mind that your son’s bris is performed as safely and as pain free as possible. You should feel comforted knowing that I have been performing brit milah for 20 years. Additionally, my goal is to conduct a warm and spiritual ceremony so everyone attending will be moved. Thank you for visiting and I look forward to blessing you, your family and your new son! ​We are very happy with the circumcisions Rabbi Zachary Hepner performed on our three sons. We found him reliable and helpful with our logistic and religious requests. Rabbi Hepner did the bris for my son. I was pleased with his quality care, technique, medical standards, bed side manner and caring attitude he had towards myself, my husband and my son. Rabbi Hepner was sensitive to the religious and cultural backgrounds of both sides of our family. My wife and I were happy with the circumcision he did on our first son and our second son, five years later. Rabbi Hepner did such a good job with our first son that when we had our second we used him again. Couldn’t be happier and have recommended him to all my friends. He was great to work with and did a great job. Zachary Hepner did a wonderful job on all 3 of my boys. I recommend him highly. Rabbi Hepner lives with his family in New York City. He has been a certified mohel since 1997 and performs brit milah for a wide spectrum of the community. He approaches his responsibilities as a mohel seriously, carrying out the mitzvah with sensitivity, dignity and in as beautiful a way as possible to minimize any discomfort. He is known among parents and visitors who are religiously diverse for instilling a sense of comfort and enrichment. He is held in such high regard that he has been invited all over the world to perform brit milah. Rabbi Hepner is in touch with parents following each bris and is always available to respond to individual questions or concerns. ​Rabbi Hepner received some of the most rigorous and in depth training possible. He was personally selected and trained by the prestigious Chief Mohel of Israel Rabbi Yossele Weisberg, in an intimate one on one apprenticeship and rotation at Shaare Zedek Medical Center in Jerusalem. His certification is issued by The Israeli Rabbinate and The Israeli Department of Health. 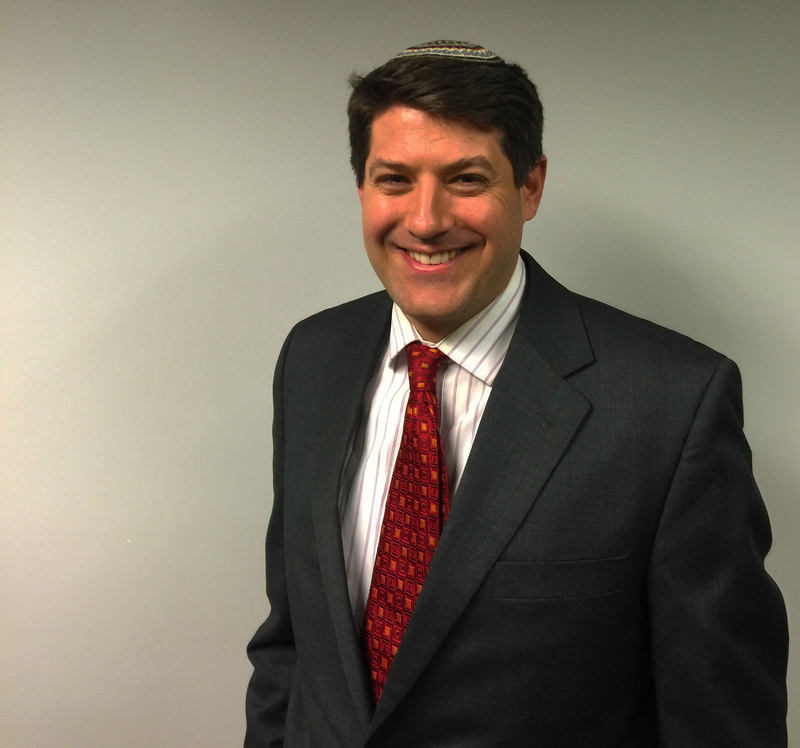 His ordination is from Yeshiva University’s Rabbi Isaac Elchanan Theological Seminary. In addition to being a practicing Rabbi & mohel, Zachary graduated from Yeshiva University with a Bachelor’s degree in Physics and Mathematics. He also received his MA in Engineering from UCLA, an MA in academic Talmud from Yeshiva University and an MBA from the University of Arizona. Additionally, Rabbi Hepner is a scholar of Jewish history specializing in antiquity and medieval periods. He continues to be one of the most sought after mohalim in NYC and frequently travels. WHEN CAN I CALL RABBI HEPNER WITH QUESTIONS? I make sure that my ceremony is inclusive of all family members and friends present. I take particular care to explain and translate all of the prayers, and I explain all of my actions. I take steps to include family members of different religions and cultures when the bris is performed for an interfaith family. This should be a bonding experience. My circumcisions adhere to the highest medical and sanitary standards and use state of the art equipment minimizing pain and procedural time, while maximizing safety and precision. HOW DO YOU ENSURE THE BABY IS NOT HURT OR IN PAIN? While I have performed bris milah without any crying, such an occurrence is rare but possible. I have developed a protocol that minimizes the pain of the procedure. These protocols include, systemic and local topical anesthetics, proper handling of the baby, speed of the circumcision and technique used, and carefully given instructions for the post circumcision aftercare. In addition to being a rabbi, I have been performing Jewish circumcisions for over twenty years. My certification followed my 1997 rotation at Shaare Zedek Medical Center in Jerusalem with the Chief Mohel of Israel. In addition to standard circumcisions, my proficiency also includes circumcisions for infants with abnormalities of male genitalia (hypospadias etc…), rare but necessary emergency post bris care, and dealing with neurotic UES grandparents. WHAT TO LOOK FOR WHEN CHOOSING YOUR MOHEL? Bris Milah, ritual Jewish circumcision, is one of the most fundamental precepts of the Jewish religion. It is referred to in the Torah as The Covenant of Abraham, since our forefather Abraham was the first to receive the commandment concerning circumcision from God 4000 years ago. The medical procedure of circumcision is an important, but not the only, part. A bris takes your baby boy and and bonds him to thousands of years of tradition in the presence of family and friends. A bris can be a catered affair in a restaurant or hotel room, or a private ceremony with just the parents and baby. Regardless of its location, it is always a gathering with important loved ones at your side to participate in this commandment. WHAT ARE THE MEDICAL BENEFITS OF A BRIS? WHAT ARE THE OPTIONAL HONORS DURING THE CEREMONY? Several honors are optionally given during the ceremony, usually bestowed upon the relatives and close friends of the baby’s family. The couples who carry the baby in. This is often designated for grandparents. The person who places the baby on the chair designated for Elijah the Prophet. This may be split into multiple honors. The person who holds the baby during the Bris ceremony. This may be split into multiple honors. The person who recites the blessings and names the baby. This can be split into multiple honors and is often recited by the moyel. WHAT IS THE FORMAT FOR THE BRIS CEREMONY? My ceremony is both traditional and enlightening. In addition to the rituals recited in Hebrew, which take about three minutes, I include a brief speech to make the ritual relevant to the parents a family present. I always make sure everything present understands everything that is going on. The circumcision, which takes approximately 1 minute, is performed towards the end. The entire ceremony lasts approximately 10 minutes. My goal is for you and your family to have a meaningful life cycle ritual and gain a deeper appreciation of this awesome mitzvah. A minyan present at a brit mila is optional and up the the parents. WHAT SHOULD BE BROUGHT THE DAY OF THE BRIS? Sweet kosher wine, a few yarmulkes (kippot), prayer shawls (talis) and a pillow. A+D ointment and Bacitracin (or generic), and Purell. Small box of gauze pads at least 4″x4″. While you can call Rabbi Hepner to arrange your son’s bris after he is born, it is best to both call and text him ahead of time to have everything arranged beforehand. ©2017 Rabbi Zachary Hepner. All Rights Reserved.